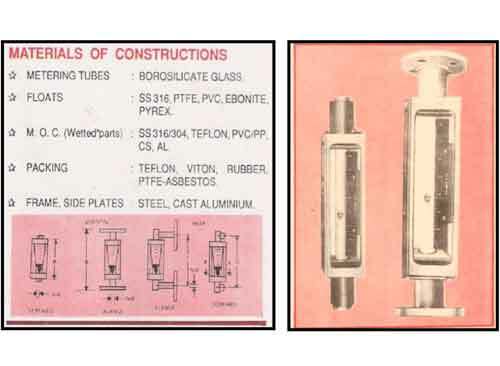 These glass tube variable area rotameters are designed to provide visual indication of flow of wide range of transparent to semi-transparent liquids and gases. They are of robust construction with dowelled side plates, interchangeable glass metering tubes and floats and wide-view windows at front and rear. Flow range can be readily changed by detachable scales. 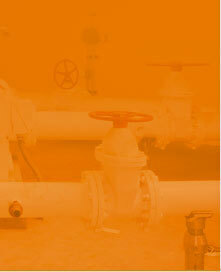 By-pass rotameters are suitable for economical measurement of flow in larger pipelines generally 2" NB to 14" NB. 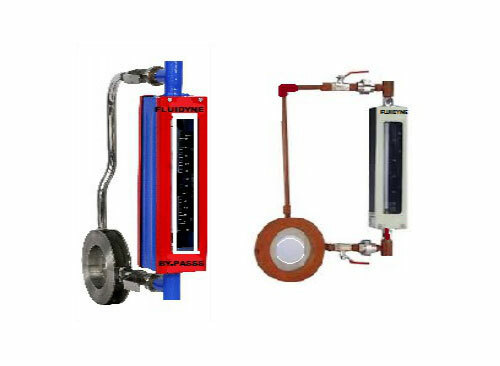 By-pass rotameters’ construction is simple and reliable consisting of orifice plate with carrier ring and a shunt rotameter. 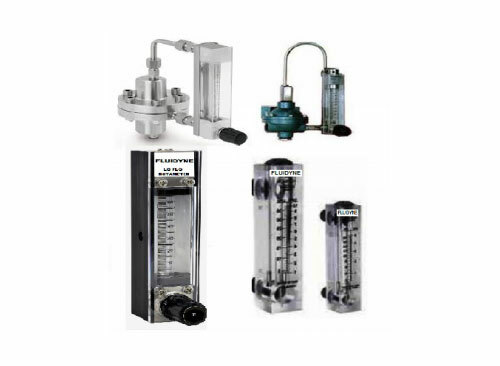 The flow rate through the rotameter is proportional to the pressure drop across the orifice plate created by the main flow and is calibrated accordingly. During installation care should be taken to ensure laminar flow in the pipe section. 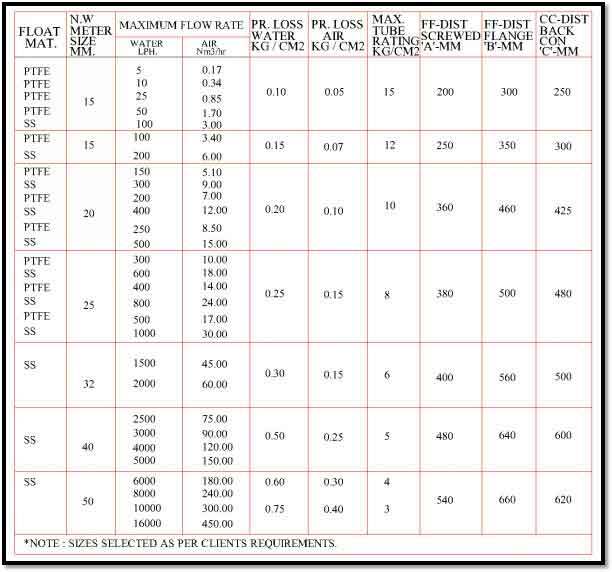 Orifice plate dimensions are based on ISA/ ISO/BS standards. Water m³/hr. Air Nm³/hr. O.D MM Thickness mm. Armoured metal tube rotameters are recommended for liquids or gases where process or operating conditions make all-metal construction desirable. 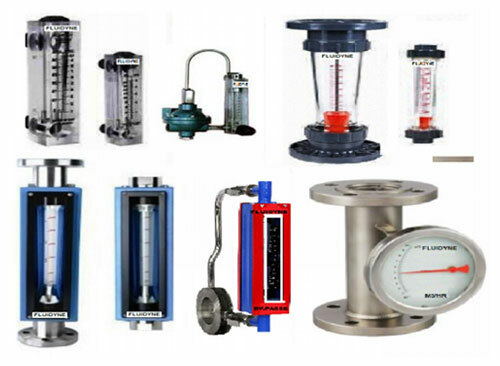 This type of rotameter is also useful for metering opaque fluids. 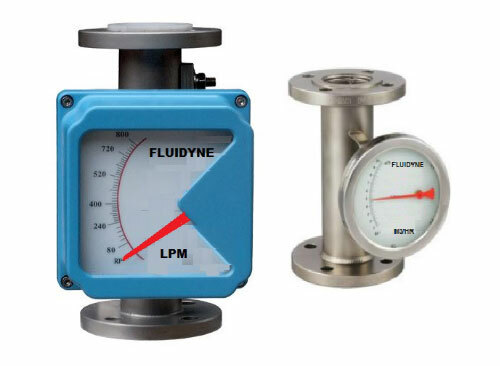 The meter is manufactured in various materials of construction and with 150,300 or 600 # flange connections. In our model RMC - 100 and extension with magnetic lenier indicating scale is bolted to the meter to indicate the float position. In another modification model RMC - 200 a dial type of indicator is provided.